Human resources, sales, online collaboration: whatever your company needs, there are scores of helpful products out there. Ask a handful of people, and you’ll come away with more software recommendations than you can count. With our help, you and your team will soon have a lean, integrated set of software. Ready? Let’s crack in to it. Is software clutter really a problem? Yes. Yes it is. Picture this classic first-day scenario at a growing startup. As a new employee, Justine spends the day meeting people from the sales team, human resources, finance, production, and marketing. Everyone wants to tell her about what they do, and, more importantly, what they need her to do to comply with their particular systems and processes. It’s a long day. Now, if Justine’s lucky, she might remember everyone’s names by closing time. If she’s super lucky, she might remember half of what they told her about their preferred ways of doing things, including the software tools they need her to use. Even worse? On day two, Justine finds out that this is just the tip of the iceberg: there’s another twenty-five software tools she needs to get to grips with, and fast. How does it end up this way? Why would anyone do this to poor Justine? All these tools are supposed to make things easier, right? The range of software available to help growing startups is amazing. No matter what a business needs to do - find a way to collaborate from a range of different time zones and locations, keep close tabs on their sales leads, manage complex projects - there are dozens of software solutions ready and waiting to help them out. In fact, there’s so much great software available, it actually becomes a problem. Many employees come to startups with their own pet preferences and ways of doing things. And when two people have competing preferences, a team ends up relying on different software products. Take your finance team, for example. Brenda might be all about QuickBooks, while Dave is Harvest to the core. Worse, Tim is still stuck using Excel and manually inputting data, much to Brenda and Dave’s shared consternation. Fortunately, you can avoid these difficulties. How, you ask? By prioritising integrated software solutions, of course! Ensuring simple and consistent software choices should be a priority for any modern business. Standardise your processes, making it easier for you and your team to complete day-to-day tasks like sharing information. Ensure consistency, meaning results are not only comparable between individuals and teams, but also across different periods of time. Make things easier for new starters by simplifying the tools they need to familiarise themselves with. Save time and money by reducing the number of software subscriptions. Making the right software choices might not seem like a top priority. After all, you’ve got a customer base to build, not to mention investors to keep happy. We feel you. But trust us on this: standardising systems and software at an early stage future-proofs your business and lets your team get on with doing their best work. With this in mind, let’s look at five areas where you can streamline your processes. These are all streamlined, easy-to-use software platforms built with simplicity in mind. 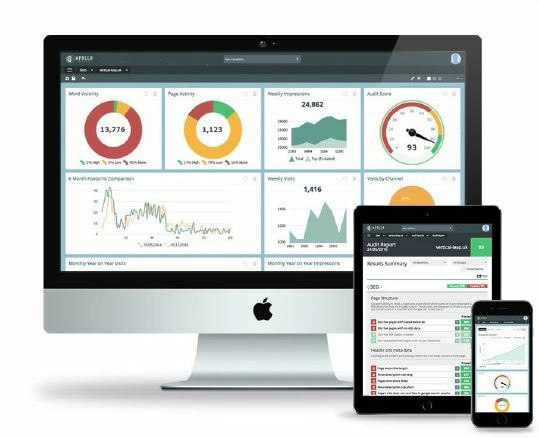 With these tools, you and your team can standardise your processes and slim down the range of software you’ll need to use on a day-to-day basis. For startups with teams in different locations, dependable collaboration is crucial. With the right platform, you and your team can do your best work no matter where you are. Slite is an online collaboration platform enabling users to create content together simply and easily, drawing from a rich range of templates for different tasks, such as strategic roadmaps, weekly task lists, or onboarding guidance. Slite allows users to work together in real time, including sharing information, commenting on document versions, and displaying timelines and completion information to team members. Slite can also be used across a range of devices. HeySummit is a software solution simplifying and automating the process of hosting a virtual summit. HeySummit guides users through each step of the process, including attendee registration, event onboarding, sharing resources, and gathering feedback. Gone are the days of managing projects via whiteboard tables and clunky box-check software. Now, project management software can help you and your team stay on track and meet your deadlines. Asana is a flexible and powerful software tool empowering you and your team to manage timelines, tasks, and overall project delivery. Simple and easy to use, Asana features a strong focus on integration, working seamlessly with a wide range of other software. People often make the mistake of thinking about accounting software as its own discrete area. However, used correctly, accounting software can improve and simplify functions across a business, without requiring any advance or specialist knowledge. The darling of many thousands of small businesses, Xero is an accounting tool developed with the aim of providing the most intuitive user experience. With Xero, challenging tasks are rendered into step-by-step tasks able to be completed from a single page. 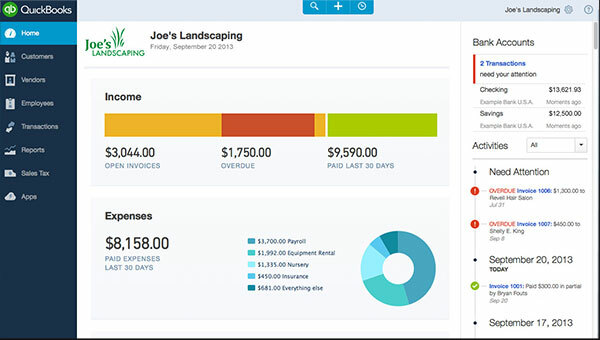 Xero is built to be integrated, working cleanly and easily with a wide range of third-party tools. Its intuitive setup process and responsive help centre win points with users, as does its high degree of customisation for local tax regimes. With Xero, you and your team can save time by integrating a number of individually challenging tasks, ridding yourself of competing accounting software. QuickBooks is an accounting tool aimed at automating business and banking processes. It also has many organisational features to help manage accounting information, making once complicated processes quick and straightforward. With QuickBooks, users can generate profit and loss reports with a few clicks, simplifying financial performance monitoring. QuickBooks also features a ‘Pay Now’ feature, which can be joined straight to customer and vendor credit cards and bank accounts. Managing business expenses is widely recognised as one of the most irritating parts of startup life. Not only do employees hate filling out standard expense claims, but most traditional expense management processes are slow and, ironically, expensive. Spendesk is an integrated expense management tool packed with intuitive and helpful features. With Spendesk, users can automate recurring expenses and match invoices to expense claims, meaning less time and effort spent on paperwork. 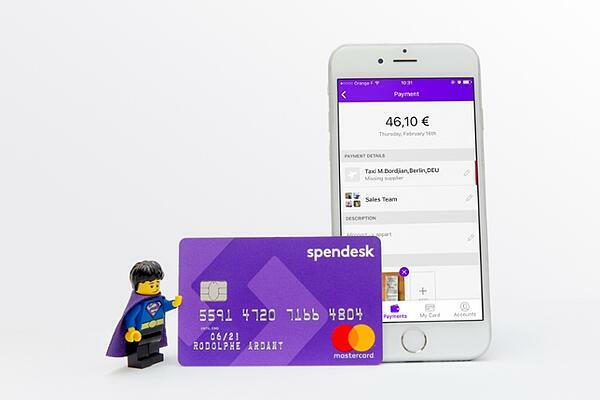 Spendesk also offers debit cards tailored to individual staff and classes of expense, and enables the creation of single-use virtual credit cards for one-off purchases, significantly reducing the risk of expense fraud. Spendesk’s same-time payment validation, comprehensive expense dashboard and invoice image identification give users a high degree of security in managing expenses. Its platform is easy to use, and gives a detailed point-in-time expense breakdown. This saves time and effort in reconciling expense information. Receipt Bank lets you automate data collection and retrieval for invoices and expense reports. With Receipt Bank, users can extract data quickly and easily from invoices, bills and receipts, and automatically input that data into a range of accounting software. Simple in design and execution, Receipt Bank saves time for users, negating the need for reviewing documents and allowing information to be imported directly into accounting software. Human resources is one part of startup life where standardisation and consistency is crucial, if only for the benefit of new arrivals. These tools can simplify many onboarding tasks, as well as payroll and leave entitlement. Bamboo HR markets itself as ‘HR software with heart’, and is designed with seamless end user experience in mind. 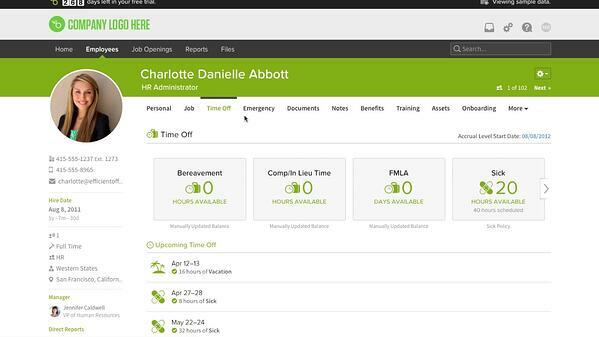 While marketed as a human resources management tool, Bamboo HR also offers payroll management functionality. With Bamboo HR, human resources information is easy to manage, and can be integrated into a single centralised database. Bamboo HR also offers employee satisfaction survey tools, allowing staff to feel better connected and motivated. Gusto offers sophisticated payroll automation and administration of staff benefits and compliance processes, all combined into an easy-to-use interface. It also open integration with a variety of platforms, reducing the risk for software gaps. Gusto features built-in automation for a number of local tax regimes, and offers simple and intuitive benefits administration. Gusto also offers a range of compliance guarantees, helping to give peace of mind when it comes to local tax requirements. Marketing enhancement: Lightning round topic! 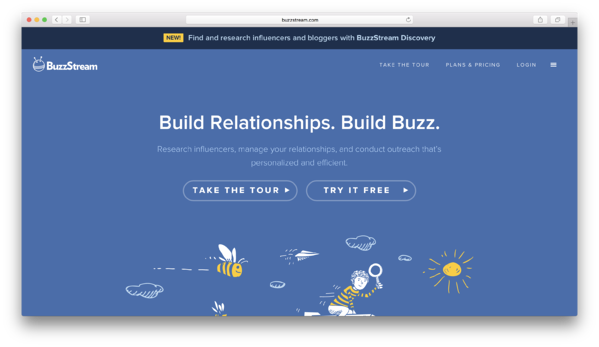 Because we can’t help but over-deliver, we thought we’d shoehorn one more incredibly useful set of tools into this list: marketing platforms. Apollo Insights is a marketing enhancement tool providing users with ways to boost the effectiveness of online campaigns. BuzzStream is a marketing and content promotion platform helping users to manage their campaigns and digital PR. For Stefan Debois of Survey Anyplace, BuzzStream has helped save time and effort in tracking their campaigns. HubSpot is a marketing, sales and customer service platform designed to make it quick and easy to manage customer relationships. It’s easy to see how software clutter starts. There are so many tempting software solutions out there, all promising to save your life. Before you know it, you’re relying on a weird and bloated mix of software, and your staff has to navigate through it to get anything done. Changing established processes can be painful. However, the long-term savings of integrating and streamlining your software stack make it worthwhile. With the software solutions outlined above, you can drastically reduce the number of tools you and your team rely on, simplifying tasks and improving information consistency. Take a look at our tips and suggestions, and see how you can save money and declutter your software stack. Marie Kondo is going to be so proud of you.